Wicked Weed has been getting lots of great press and rave reviews for their beer. Most of their beer is sold out of their tasting room, restaurant and their new Funkatorium but some of it makes it into bottles. I traded for a few bottles last fall and finally got around to opening my first bottle, Lusus Naturae which is their double IPA with brett. Appearance is typical of the style with a deep orange color and a bright white head that leaves some lacing on the glass. 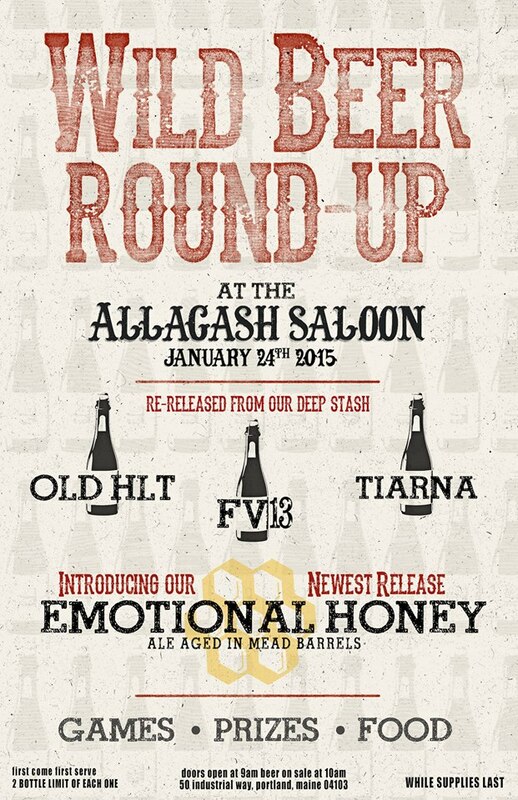 Aroma is heavy on the hops and light on the brett, lots of grapefruit, melon and citrus and only a bit of funk. Taste starts with the same melon and citrus but that gives way to some dank hops which are quickly replaced with a mild brett funk. Finished dry with very little bitterness. Really nice double ipa with only a little funk which makes this a very approachable brett DIPA. 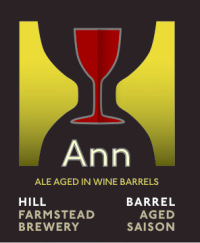 It would be interesting to revisit this beer in a year to see how the brett developed but this was my only bottle. 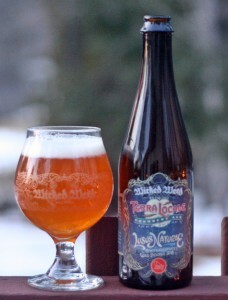 Brewers Description: Lusus Naturae is a dry, North Carolina Double IPA brewed with North Carolina grown Riverbend Malt. It is dry hopped with over 3 pounds per barrel of Mosaic, Amarillo, and Centennial and finished with our house Brettanomyces strain. Drink this hoppy goodness fresh or lay it down to bring out the Funk. This is my third crowler from Garrison City. The fourth contains their Crowbar porter and is sitting in the back of my fridge as an experiment to see how well the crowler works. I will probably open it up in the next few weeks to see how the carbonation and taste held up. This was the original batch of Bale Fire at 5.8% ABV. 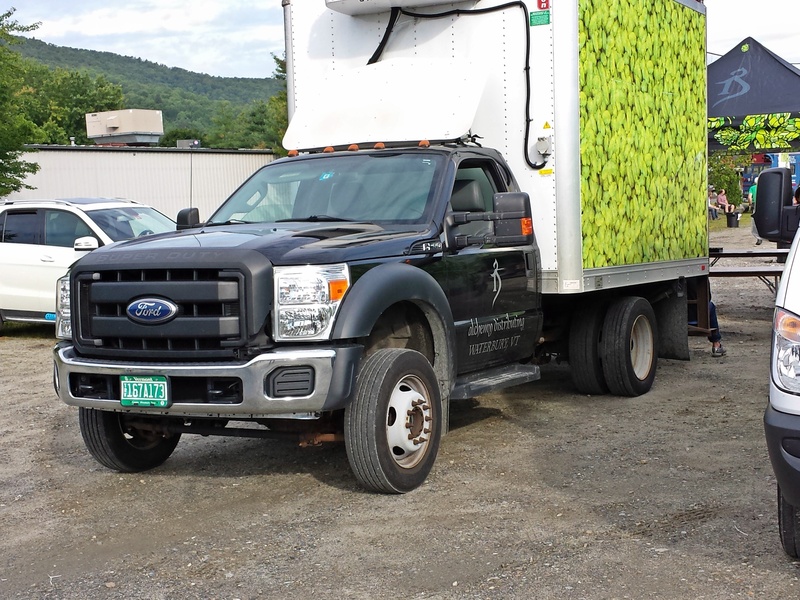 I visited the brewery last week and they have tweaked the second batch as it now stands at 7.0% ABV and the hops come through much better. This first batch had a sweet start with a nice floral and slight lemon bitterness. Overall a very mild and drinkable IPA that has improved in the second batch and may change even further before they settle on a final recipe. Brewers Description: American IPA Hop forward Centennial hops lead the dry hop supported by Simcoe. 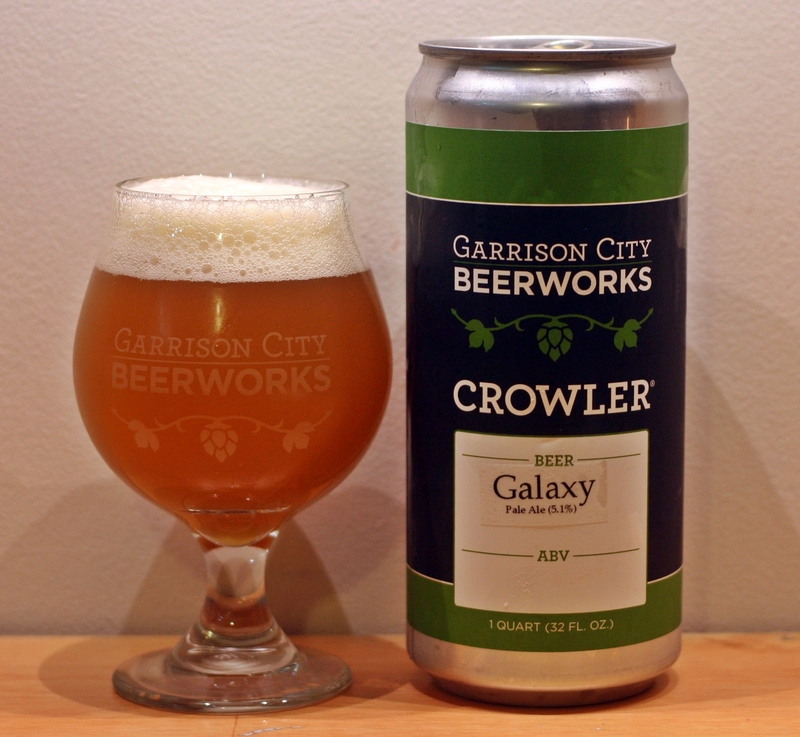 Second Crowler from Garrison City and it was tough to decide which I liked better, the Citra or the Galaxy. Galaxy pale ale is similar to the Citra pale ale with some tropical and citrus but there is also a nice earthy grass and slightly dank quality that Citra did not have. Can’t wait to try more from these guys. Brewers Description: Dry hopped pale ale Southern Hemisphere hops Galaxy, Wakatu and Motueka lend spicy notes along with bright citrus and pine. Not really an updated review but thought I would add the photo of the 16 ounce can packaging which GCB is moving all their beers towards. 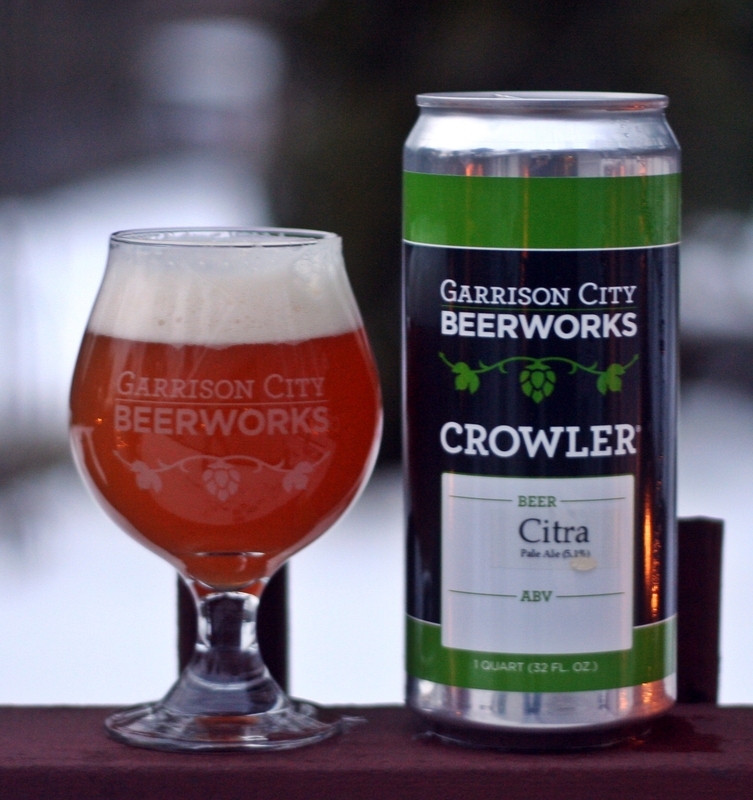 Garrison City BeerWorks opened in Dover NH on December 13th and the owners were nice enough to let me in on the 12th to sample and grab some Crowlers. Yes that is correct a Crowler is a 32 ounce can that is filled to order and sealed while you wait. 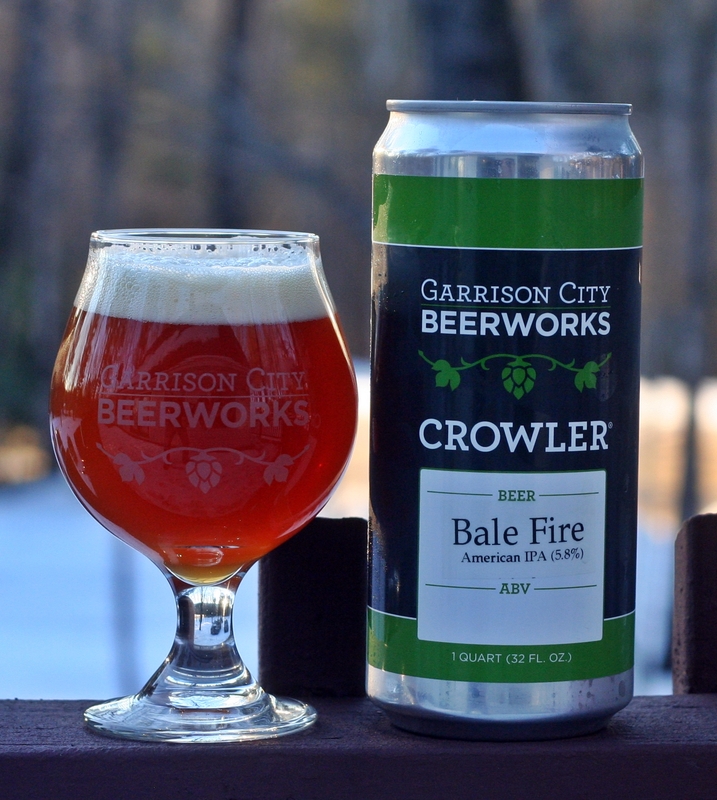 Cost is a very reasonable $9 per Crowler which includes the cost of the can, no expensive glass to buy. All 4 beers were very good so I took home 7 Crowlers; 4 for me and 3 for my brother in law. 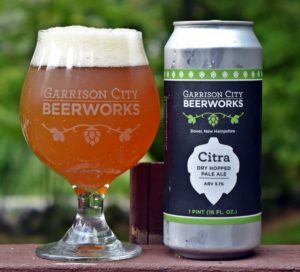 The first one to be opened was their Citra Pale Ale which pours a deep orange with a solid white head. The aroma was fresh juicy hops; tropical, citrus and a bit of pine. 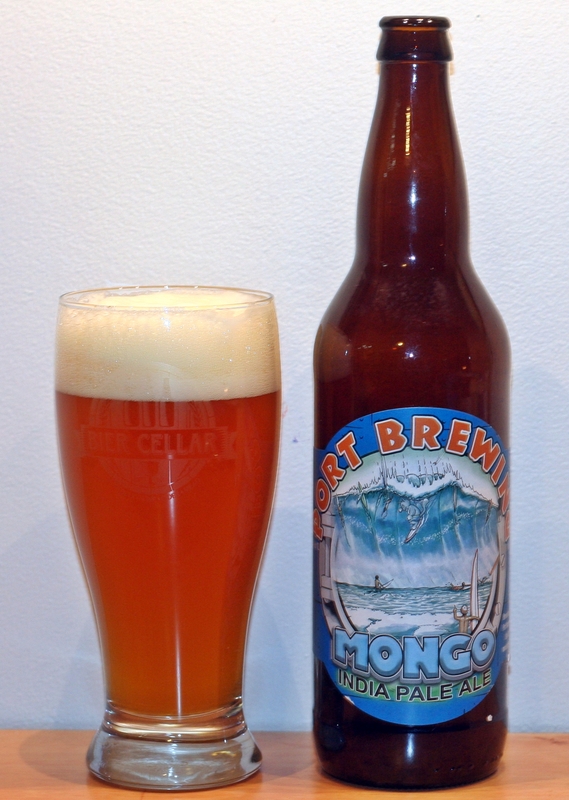 Taste followed with a solid malt backbone that made this a hoppy yet balanced pale ale. Mouthfeel was excellent as well with a nice amount of carbonation. I find carbonation to be an issue with many new breweries but this was right where I would expect to be for a pale ale. Overall a very nice start from Garrison City BeerWorks. 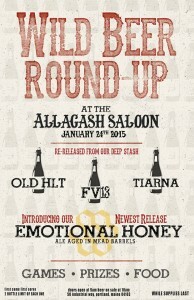 Brewers Description: Dry hopped pale ale. Light in color and low in bitterness. Hopped with Amarillo and Citra it bursts with sweet tropical citrus.